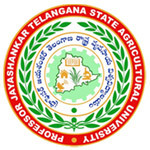 PJTSAU Jobs Recruitment Notification 2018.Professor Jayashankar Telangana State Agricultural University inviting applications for the positions of Subject Matter Specialist, programme assistant and teaching associate jobs.Interested and Eligible candidates can apply for the positions. Number of vacancies in PJTSAU is 04. For teaching associates the qualification is M.Sc or Ph.D in agricultural microbiology. M.Sc holders can apply for SMS post. B.Sc holders can apply for programme assistant post. Maximum age for Subject matter specialist post is 40 years and for remaining posts the maximum age is 35 years. Selected candidates as SMS will get pay of Rs.38,000/- per month. On 10th & 11th September 2018 along with all essential documents contenders may attend the walk-in interview of PJTSAU recruitment. Office of the Associate Dean Agricultural College, Palem-509215, Nagarkurnool District. Regional Agricultural Research Station (RARS), Warangal, Warangal Urban District.